Savoury Chef Foods was launched in 2006 as a personal catering business but, through the support of a loyal client base, gradually expanded into a high-end catering company and event coordinator offering a wide array of menus for corporate parties and casual office delivery, social and private events and wedding celebrations. With a full-time staff of nearly 40 and a 10,000-sq. ft. commercial facility and production hub in Vancouver’s Strathcona neighbourhood, thousands of well-fed, satisfied guests and repeat clients keep coming back for more. Check out our rave reviews! While much has changed since Savoury Chef’s inception, what has remained a constant is the company’s commitment to using fresh, local and seasonal ingredients in every dish. Executive Chef Geoff Rogers and his staff believe that nothing tastes better than market-fresh produce, locally farmed meats and sustainably sourced seafood, and this dedication to feature the very best that B.C. has to offer is what drives the continual renewal of Savoury Chef’s menus. 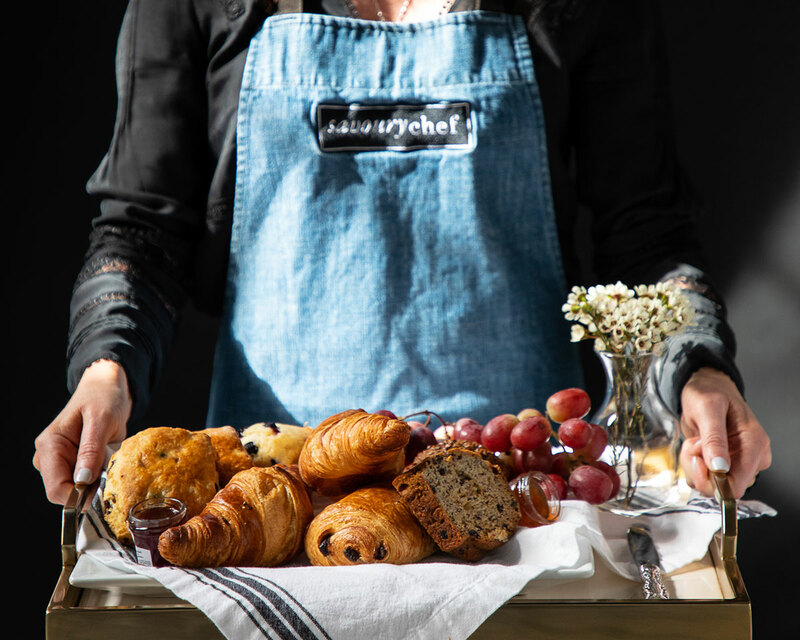 From carefully planning, tasting and custom-creating menus with each client to offering connections to a network of industry partners and event resources, Savoury Chef is a true one-stop shop, as well as a preferred catering vendor to a number of Vancouver’s premier event venues. Since its inception, Savoury Chef Foods has carved out a niche as Vancouver’s premier catering and event coordinators by espousing a philosophy that every client deserves professional, knowledgeable staff; unparalleled service from planning through execution; and cuisine that not only incorporates but celebrates the very best fresh, local and seasonal ingredients.